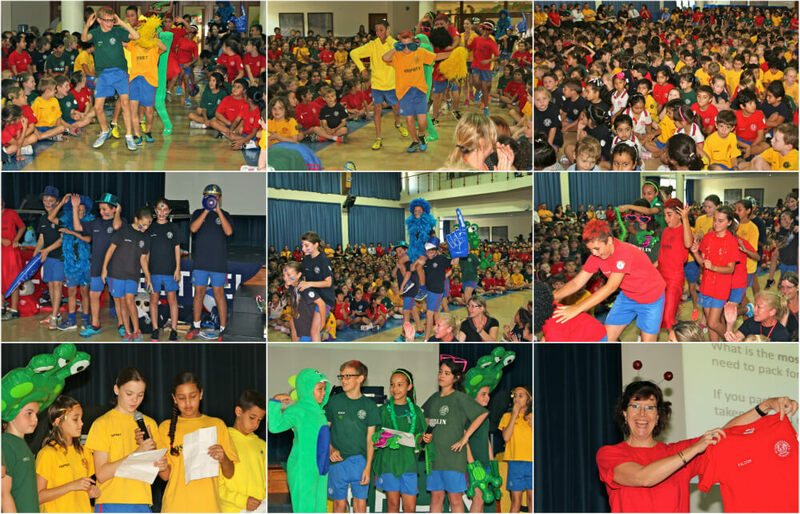 The final House Assembly of the year was one to be remembered!.It kicked off with the House captains showing off their trendy dance moves down the middle of the audience. With the children from Nursery to Year 6 moving and cheering already, the scene was set for something amazing! The House captains showed great teamwork, announcing the success of the Infant swim galas and showing an inspirational video of the Infants in action. 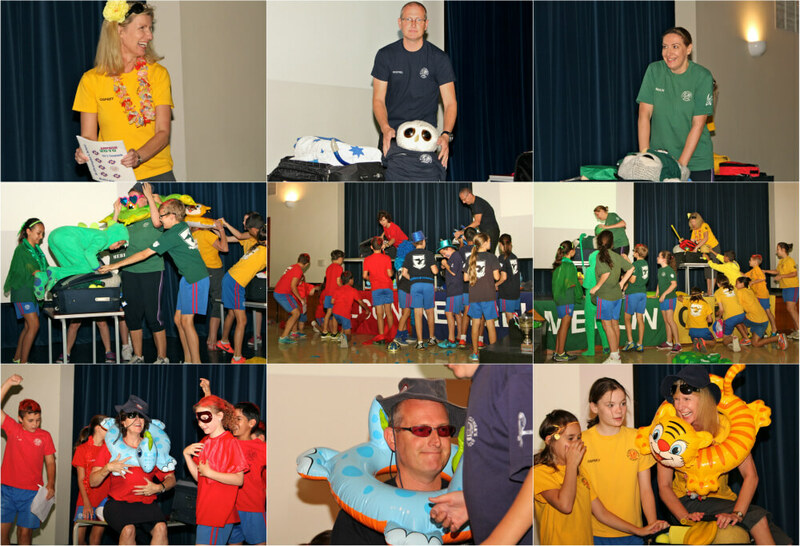 An Inter-House challenge followed with Ms Louise Dracup representing Osprey, Mrs Anthea Roberts for Merlin, Mr Jon McNaught representing Kestrel and Nurse Sandy for Falcon; being given the challenge of packing their suitcase as fast as they could. They should have found this an easy task but with beach balls, hockey sticks, lots of books and stacks of clothes to pack, it was a tricky and fun task with a few comedic moments thrown in. 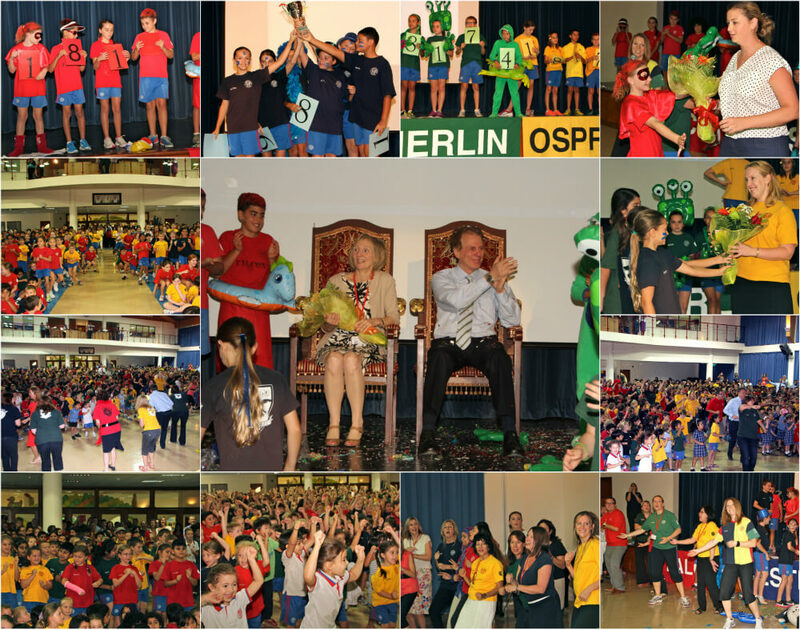 At the final assembly each year ,the students find out who has won that prestigious House Cup and this year, it was so close that there was no 4th place! The cup this year went to Kestrel, with Falcon coming second and Merlin and Osprey equal in 3rd position. The school sees three couples getting married over the summer and the House captains presented flowers to Miss Emma Hawkins who will be married in Hawaii, Miss Sarah Jelley who will be marrying Mr Ronan Armstrong, before inviting St Christophers’ very own Principal, Mr Ed Goodwin and Head of the Junior School, Mrs Wendy Bataineh to the stage. They had no idea of the huge secret that the school has been keeping from them! As they sat in the ‘Posh and Becks’ style thrones, the music of Bruno Mars’ “Marry You” began. This was shortly followed by Callum Matthews from Year 6 dancing down the aisle. Mrs Bataineh and Mr Goodwin must have wondered what was going on, until a flash mob developed and Year 5 and 6 joined in on the dance moves, followed by Year 3 and 4, followed by the Infants, and finally the staff, who danced down the aisle to join in on the carefully (and oh so secretly) rehearsed dance spectacular! Well done to EVERYONE involved! It was an AMAZING way to end a highly successful and enjoyable year!